Why are drones circulating overnight in Paris? Unidentified drones fly over Paris for a second night in a row, circulating the US embassy, Eiffel Tower and Place de la Concorde. At least five of the unmanned aerial machines were spotted between midnight on Monday and 6am on Tuesday, and none of the operators has been caught. The latest sightings follow a series of drone spottings at French atomic plants last year and, more recently, over the presidential palace and a bay in Brittany that houses nuclear submarines. Authorities have been left scratching their heads as they remain unable to catch any of the operators or determine whether the flyovers are malicious in nature, at a time of high vigilance after last month’s deadly Paris attacks. The tiny aircraft were spotted near the US embassy, not far from the Invalides military museum, the Eiffel Tower and several major thoroughfares leading in and out of the French capital, the source added. Police had already been trying to find out who was behind the appearance of an estimated five separate drone flights over similar areas of Paris the previous night. French law bans small civilian drones from sensitive areas such as nuclear facilities, which are protected by a no-fly zone that spans a 1.6-mile radius and a height of 1,000 metres. 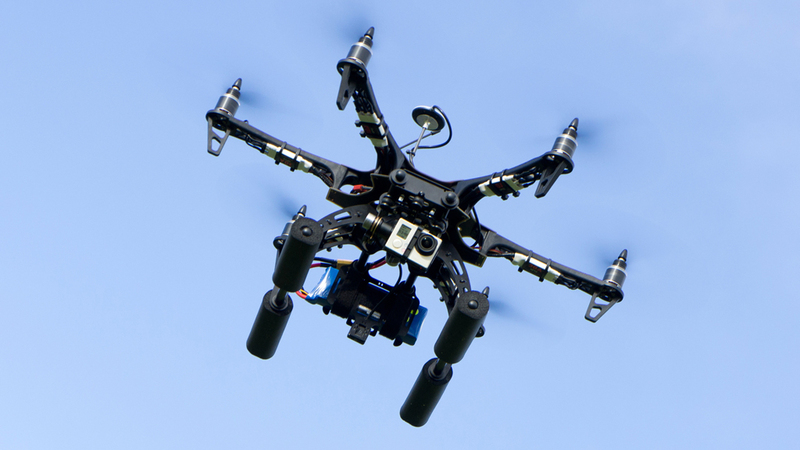 Flying the unmanned aerial vehicles over the French capital is also banned by law. Last month a drone was seen over the Elysee Palace, home of President Francois Hollande, and in October a series of nuclear plants was targeted across the country. France’s state run power company EDF said that the “overflight” of aircraft resembling drones across multiple bases had caused concern and that it had been reported to the French police. The drones were spotted first on 5 October, in the week of 13 October, and then four times on 19 October at sites hundreds of miles apart. French Interior Minister Bernard Cazeneuve said that options were being considered to deter future flights: “There’s a judicial investigation under way, measures are being taken to know what these drones are and neutralise them,” he told France Info radio in October. Is drone revolution a threat to national security? Watch our report from last year below.